If you are looking for a low key fun trail run in a beautiful setting at the height of the fall colors then this is the run for you. There are no prizes or goody bag, but your low entry fee gets you a cool coffee mug which Camp 4 Coffee will fill for you at the finish. A Half marathon (13 plus miles) and 19 mile course. The 19 mile course will start at Camp 4 Coffee at 4th St. and Elk Avenue in Crested Butte and head east on Elk Ave to Tony’s trail. At the top of Tony's trail take a right onto the Upper Loop and then a left onto the Upper upper loop and follow that trail to Brush Creek road. Take a left and follow the dirt road to the Canal trail and an aid station. Follow the Canal trail and then take a right onto the Strand Bonus trail. At the end take a right down the Strand Hill road and then a left onto Farris Creek road. Take a right onto Trail 409 and follow it past the junction with Trail 405 to the junction with Trail 418 and an aid station. Take a left on Trail 418, Walrod Cutoff, and continue to Walrod Gulch road. 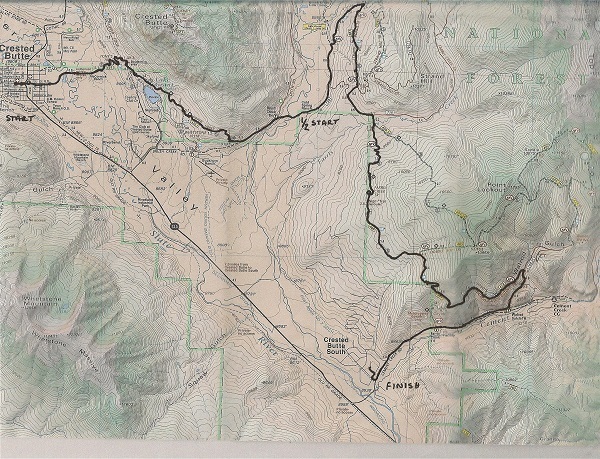 Take a right down Walrod Gulch road and then a right onto the Cement Creek trail. Follow that trail until it ends on Cement Creek road and then continue down Cement Creek road to the finish at Camp 4 Coffee in Crested Butte South. The approximate elevation gain on this course is 4000' with 4300' of elevation drop. The half marathon course is about 13.5 miles and will shuttle to Brush Creek road and then follow the 19 mile course to the finish. Elevation gain on this course is 3000' with 3300' of elevation drop. This run is predominantly on single track trail with some dirt road and a small length of paved road. The trails range from smooth dirt to rocky. The courses will be marked with directional arrows and ribbon. The aid stations will be limited to water and Gatorade so runners are advised to carry their own food, water and energy drink. The 19 mile race start time is 8.00am. The half marathon will start at about 8.20am. Bib pick up will be at the race start at 4th Street and Elk Avenue in Crested Butte from 7.00am - 7.45am on race day or from 4.00pm - 6.00pm on the evening prior to race day. All finishers will receive a coffee mug which will be filled for you at Camp 4 Coffee and refreshments will also be provided. 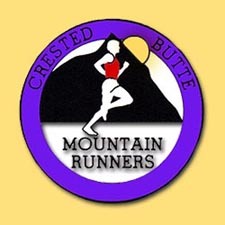 Transport will be provided to the start of the 13 mile run and back from the finish in Crested Butte South.